Isaiah Smith, Katie Robinson, Madison Hicks, Megan Funcannon, Darin Terrell, Olivia Edwards, Sadie McMenamy, Perry Mease and Cadon Cook were among the 800 Missouri FBLA members at the Fall Leadership Conference. On November 6, 2018 over 800 Missouri middle and high school students attended the 2018 Future Business Leaders of America- Phi Beta Lambda National Fall Leadership Conference in Chicago, Ill., November 2-3. The National Fall Leadership Conference is one of the most outstanding leadership opportunities for America’s business students each Fall. 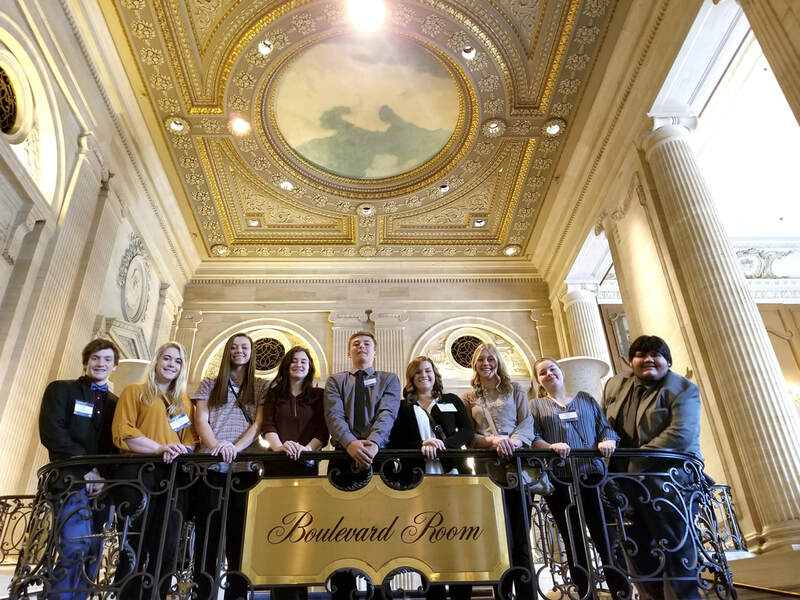 Overall, nearly 2,800 students in FBLA traveled from across the country to Chicago for two days of leadership development and career planning. While in Chicago students did not only just go to workshops, but they explored the city’s many beautiful and historic sites. Some of these places were the Federal Reserve Bank, The Field Museum, Navy Pier, and Willis Tower. We also visited Millennium Park which included a scavenger hunt, a walking tour, and a Segway tour. Not only was the trip a way to grow as individual leaders but to grow as a team.